Sustainability is a word that means different things depending on who is using it, thus underlining the potential problems involved in experts from different fields teaming up to tackle sustainability problems. 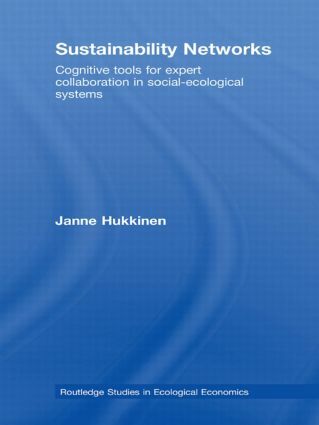 In this book, Janne Hukkinen argues for a reflexive approach to sustainability as a means of coming to grips with the threatening challenges arising out of human-environment interaction. The author illustrates his argument with a case study of natural resource management in Lapland, showing how sustainability is understood holistically by academics and professionals alike. This book reflects an emerging cognitive turn in sustainability sciences, conceptualizing environmental challenges during action on our social and material environments, rather than in isolation. Hukkinen argues that this conceptual blending enables sustainability experts to hybridize themselves: to immerse themselves in the fields of other experts and imagine the other's work - both prerequisites of trans-disciplinary knowledge integration. This book shows how sustainability experts can reveal their intellectual engagements when designing scenarios and indicators and presents a rigorous framework for organizing expert collaboration.